This family-friendly event is free to attend and open to the public. Come dance and celebrate the New Year a bit early with us. 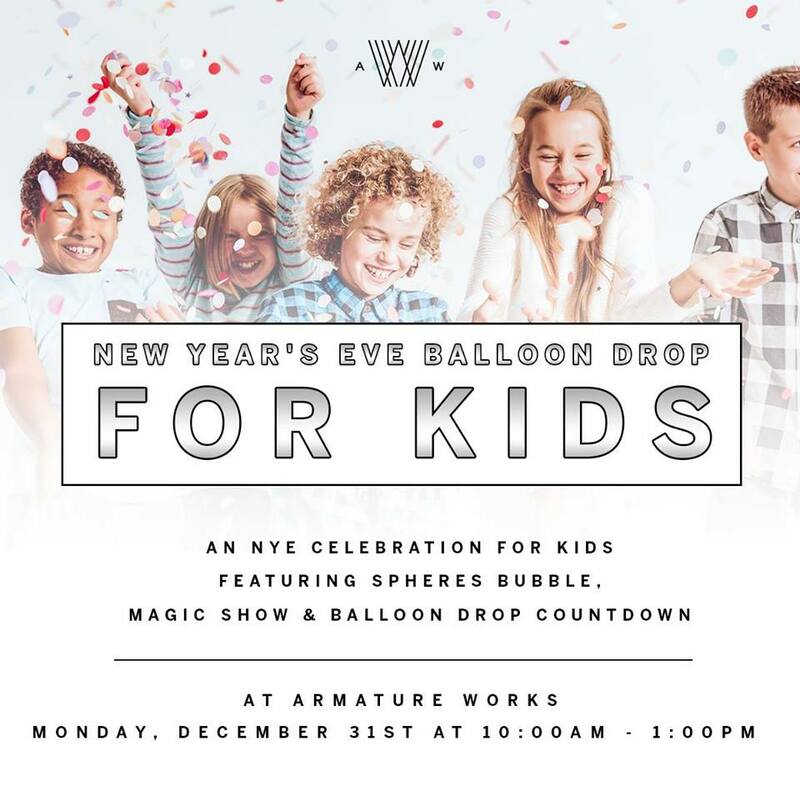 Since midnight is way past bedtimes, join us December 31st for a special, early NYE celebration for kids. The event kicks off at 11:30 am and will feature the Spheres Bubble and Magic Show as well as a countdown to noon and a balloon drop. I attended this event and was very disappointed I appreciate that it was free,but for as many people the celebration should of had a bigger space, vendors OUTSIDE to buy food and drinks. I’m sure y’all would have made more money.I waisted most of my granddaughters time standing in line for the jumper.I will not come back .This was not worth our time even for free.